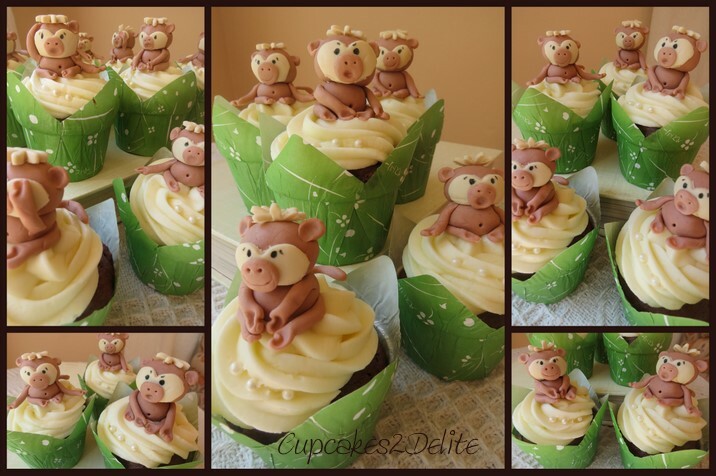 Monkeying around with these Cupcakes! 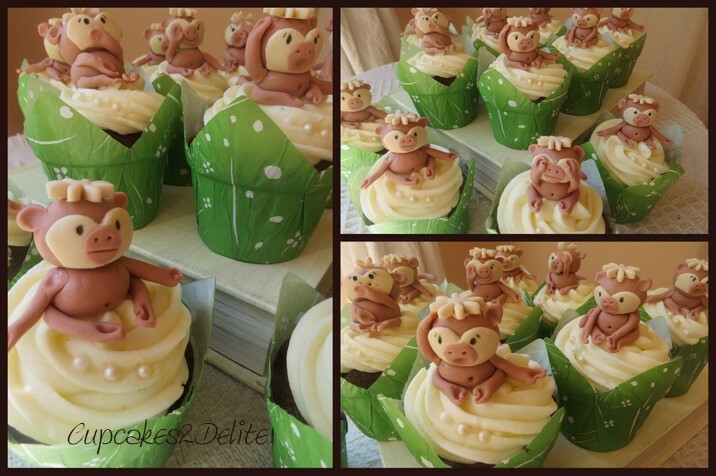 When Tersia asked me to do these monkey cupcakes for her baby shower I was intrigued by her naughty monkey theme for her party. She had collected soft toy monkeys for her baby boy’s room and she wanted a monkey theme for her baby shower. These monkeys were a tricky task at the time for me not being 100 % back into the swing of my baking but I really wanted to help her as she was recommended to me by Hester and she had seen my cute smurf cupcakes and knew she wanted cute cupcakes for her friends attending her baby shower. I knew I couldn’t make all these monkeys myself so I asked Paige if she would help me as she is beautifully artistic and has a great eye for detail. I was delighted when she agreed and with no help from me she handmade these 25 naughty little monkeys. On seeing them I fell in love with their naughty expressions and gorgeous faces. If you look closely you can almost hear what they are thinking. Congratulations Paige, you just made your debut as a sugar artist with these crafty little guys! 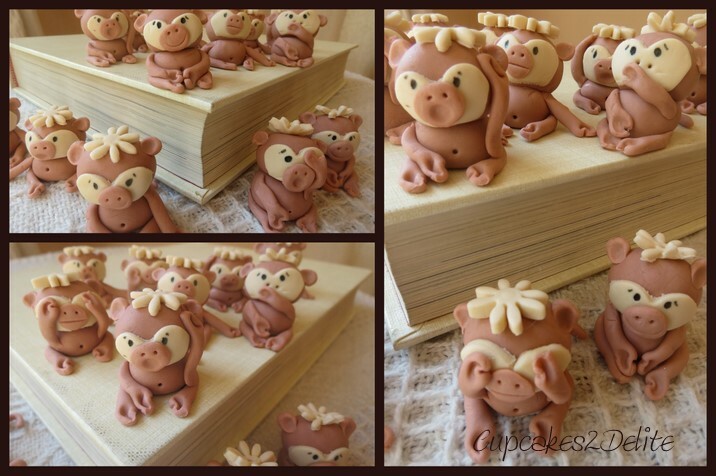 These cute monkeys jumped from the photo shoot on my book straight onto delicious chocolate cupcakes iced with a creamy vanilla icing and were delivered in time for Tersia’s babyshower. I had such a wonderful email response from Tersia which I have quoted here as it was the perfect thank you to Paige for all her time and enthusiasm creating these characters for me and for Tersia. ← Pink Pepper and Pink Roses for a Family Memory! Thanks for giving Paige the opportunity to make the monkeys, she had such fun doing doing them. The cupcakes turned out so well and I’m sure tasted as yummy as they always do! Thanks Tracy, I was only too pleased that Paige could help me and loved her adding her creativity to my cupcakes!